Who can sell on Vimeo OTT? Will I receive a breakdown of sales? Are there any international payout fees? What verification information do I need to provide to get paid? How do I set up my payout? Do I really need to provide SSN? If your country is not on this list, contact us, or check out Vimeo On Demand, where you can sell from any country! Funds will be deposited into your account by the 30th of each month for the previous month's sales. Example: if you sold 100 copies of your film in March, you will receive payment for those sales by April 30th. Payouts are made on a monthly basis. During pre-orders and free trials, you will not receive payment. Customer cards are charged once your video content is released and you will receive your payout for all pre-orders after the month of release. Vimeo OTT manages all payments processed by credit cards via Stripe Connect. Each month, Vimeo OTT will transfer the funds from sales to the seller net of Vimeo OTT Fees. In addition to the details found on your Dashboard, we will send a monthly invoice outlining gross sales, all fees, and units sold for the month. We will also provide a breakdown of sales based on sales of Packages and geographic location. Vimeo OTT does not collect sales tax on your behalf. Please see our Sales Tax guide for more information. Vimeo OTT does collect & remit VAT from European customers on your behalf. If you have over 200 transactions and $20,000 in sales each year, we will send you a 1099-K filing. Payouts to bank accounts in currencies other than USD are charged a 2% conversion fee. This is the percentage charged by our payment processor to convert funds from USD to your local currency. Full SSN OR government ID or passport only if we’re unable to verify with just last 4 of SSN. *European businesses must submit company representative information for anyone who owns 25%+ of the business. Do I really need to provide my SSN or birth date? For those regions that require it, yes, your Social Security number and Date of Birth are required. This information is used for anti-laundering and Know Your Customer regulations but not for tax purposes. You can read a bit more about the requirements here and here. The first step to getting paid is completing your payout information on the Payout settings page. Anyone who is listed as an Admin of your Vimeo OTT site has access to the Payouts page. Members do not. Manage Admins & Members. Visit the Payout page in the Site menu. 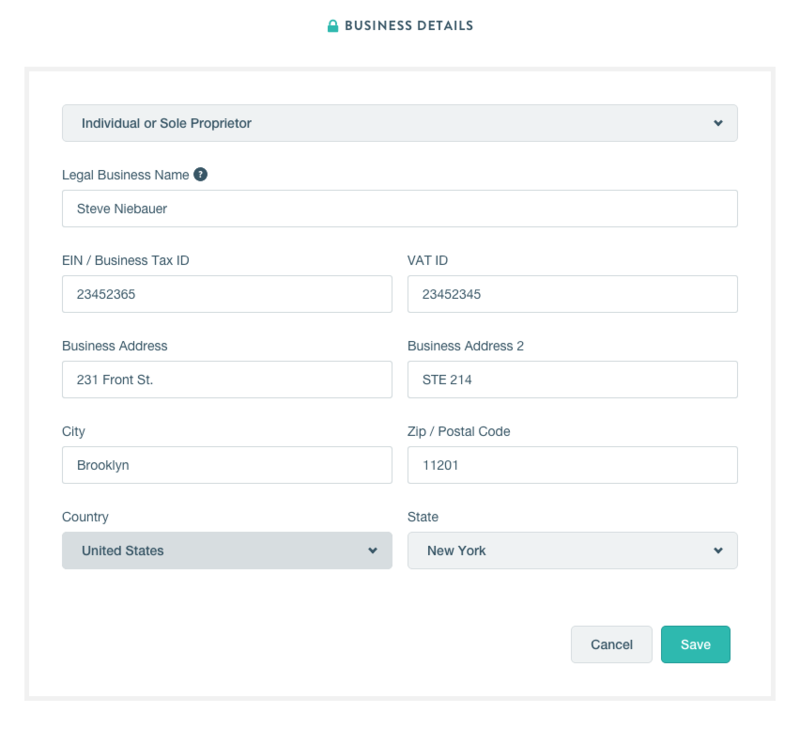 Business Type, Name, Tax ID, VAT ID, & Address - This information should relate to the entity actually accepting payments. This will often be a Corporation or LLC associated with your film or a distributor if they own all the rights to your film. If you are the owner of the video and accepting all payments, simply put your individual information and address. Tax IDs are only required for businesses. We'll use all of this information for payouts and to send you any necessary tax documents at the end of the year. Click the Save button once this is all filled out. Below that field, enter your Bank Account Details for direct deposit via ACH. Bank Account Holder information - First name, last name, and date of birth of the account holder. 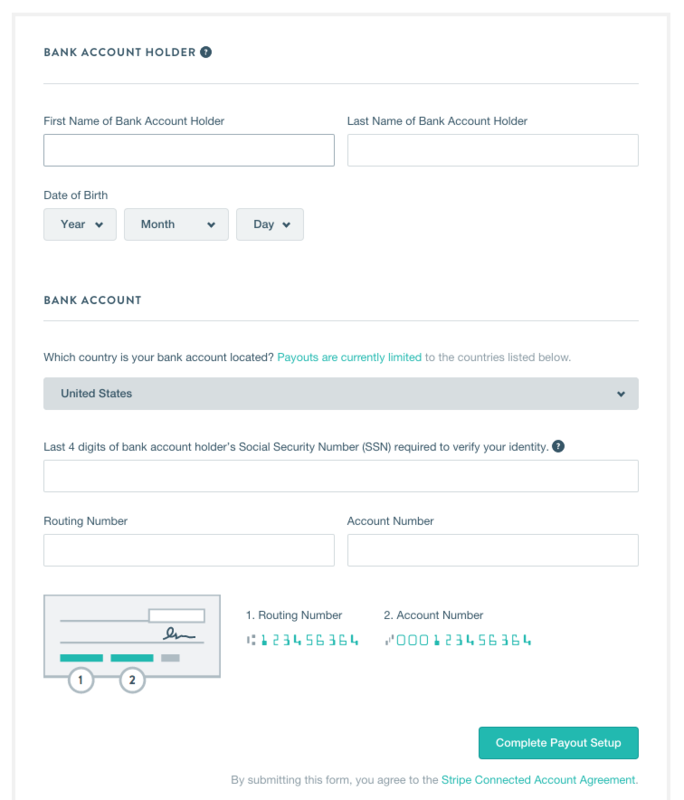 Bank Account information - Country, Security information (differs based on country - for USA, it's last 4 digits of your SSN), Routing Number, & Account Number. Click the Complete Payout Setup button to save your information. Once your payout information is stored, we can pay you! You can change the bank account setup at any time by clicking the EDIT button on the Payout page. We do NOT store sensitive bank account information on our servers. How do I edit my Vimeo OTT site settings?